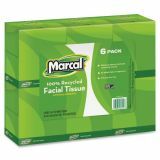 Marcal 100% Recycled Convenience Pack Facial Tissue, White, 80/Box, 6 Boxes/Pack - Recycled, two-ply facial tissues come in a decorative, upright box that fits perfectly in work areas with limited space. It is soft yet absorbent and virtually lint-free. Hypoallergenic tissues are whitened without chemicals containing chlorine bleach and have no added dyes or fragrances. 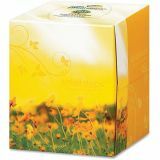 Each box contains 80 sheets. 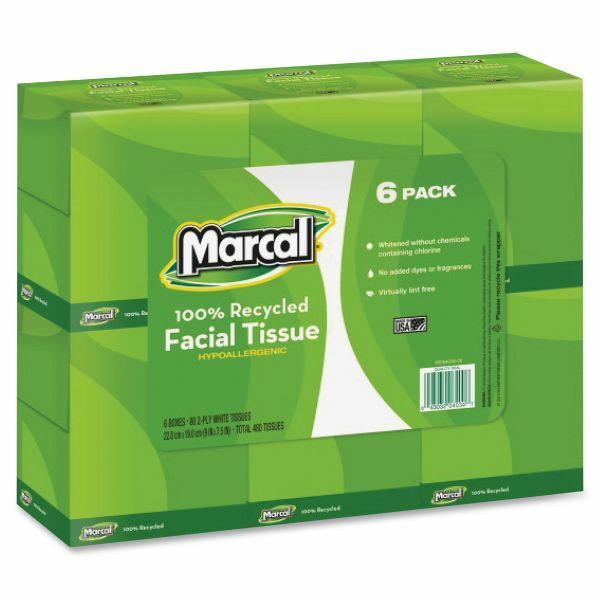 Each facial tissue contains a high percentage of recycled material.